Yeah. Pretty decent performance from the short barrel. Actually the 130's are working better than I'd expected. I've shot them on paper out to 200 yards with pretty decent results. I backed my load off a few tenths and am now getting a pretty solid 2,150 fps average. This is with the 130gr BTSP bullet. 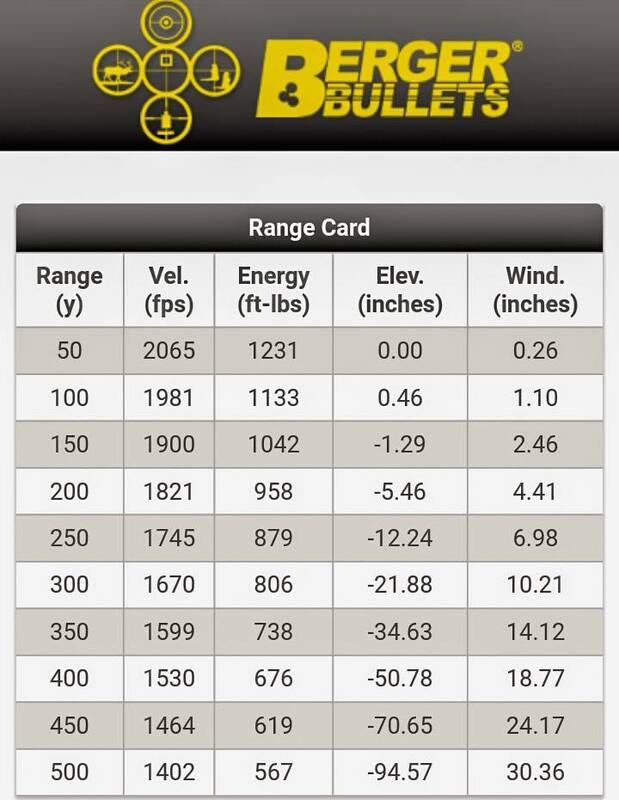 Plugging in a BC of .400 and 2,150 as muzzle velocity I'm getting this data with a 50yd zero. Depending on how tough these bullets are I assume we'd still see some expansion out to 250 yards or so. But that's a complete guess on my part. Something I might mess with is a flat based 130gr bullet. That should give me a bit more case capacity. Maybe I can get a wee bit more velocity going this route. Last edited by Tokarev; 11-18-18 at 17:00.